It was in 1972 that Lonnie Wright left his home in the Midwest in search of his dream job. Who knew that dream would be right here in Oregon? Fast-forward to 1978, Wright learned the craft of viticulture when he and several others planted 2,000 acres in two years; the first vineyards at Columbia Crest, a winery owned by Chateau St. Michelle, in Patterson, WA. Wade Wolf and Clay Mackie, experts in vineyard management, directed the operation as Wright soaked in all the knowledge these legends had to offer. Wright became the area manager for 650 acres of grapes and supervised the first harvest. After three years at Columbia Crest, Wright went overseas to manage irrigation systems in Libya. In 1982 he returned from Libya to his wife, Linda Wright, and son Lee. He soon heard that an orchardist in The Dalles, OR was beginning a vineyard renovation for vines that had been neglected for over 20 years. This orchardist had stumbled upon eight acres of century old, neglected zinfandel vines located four miles southwest of The Dalles. Wright knew he wanted to get in on the ground floor of this project so he arrived unannounced at 7:00 am to begin the revival of these plants. After witnessing the orchardist direct the crew on how to prune according to his opened UC Davis textbook, Wright knew he could offer his vineyard expertise. Half the crew thought this mission was too difficult and quit after the first day. But those who are strong of heart and spirit continued with the project knowing what great grapes were in store for wine in the future. 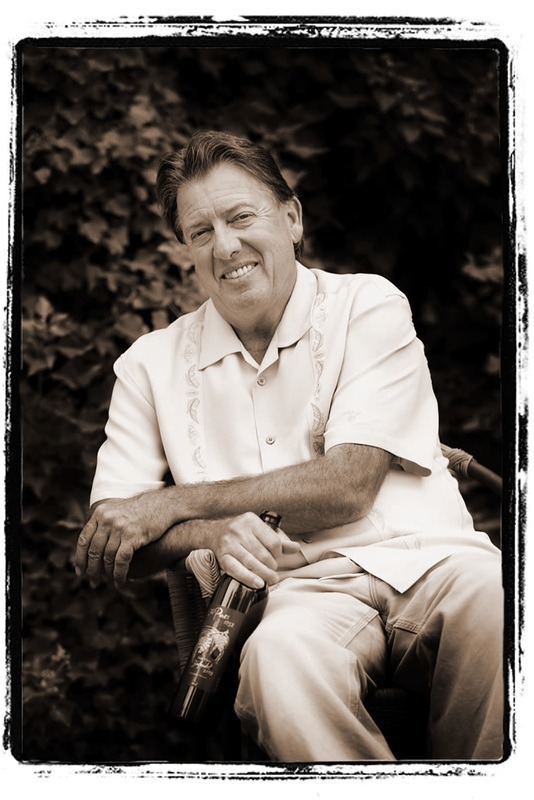 In 1983, Wright began his vineyard management company, Columbia Country Vineyards, and planted a vineyard for Terry McDuffee (a vineyard that would provide fantastic grapes to Sineann, Pheasant Valley, Cathedral Ridge, Mystic, Maryhill, and Daedalus in the future). Lonnie and Linda Wright also welcomed a new addition to the family in 1983 with the birth of their daughter, Sierra. In 1984, Wright planted Harold Haake’s vineyard (Haake’s grapes would be sold to Natalie’s Estate, Sineann, Eola Hills, Cathedral Ridge, Mystic, and Owen Roe). Wright continued planting grapes in his own vineyard, making starts from the century old vine zinfandel to plant the new zinfandel block in 1987. Wright and his family moved on to The Pines property in 1989 to enjoy and manage the land. 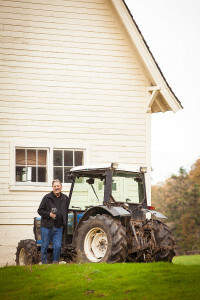 It was not long before Wright added Merlot and Syrah to the now 20-acre vineyard. Columbia Country Vineyards also grew, keeping Wright busy managing and harvesting 200 acres of grapes of numerous varieties from many vineyards in the Columbia River Gorge. In 2001, Lonnie Wright had the idea to begin his own wine label: The Pines 1852. Wright’s old vine zinfandel, young vine zinfandel, and merlot were the three estate wines under his label. His expert grape management paired with the winemaking talent of Peter Rosback, winemaker for Sineann, has created full-bodied, fruit-abundant, big reds. The 2004 vintage introduced some new wines. In addition to our classic old vine zinfandel, young vine zinfandel, and merlot, we released a zinfandel dessert wine called “Sweet Sierra,” a “Big Red” blend and our first white, a pinot gris. We have continued adding on new varietals to our wine list, making about 19 wines now–it’s hard to grow such amazing grapes and not be curious what they’d taste like in the bottle. Cheers!